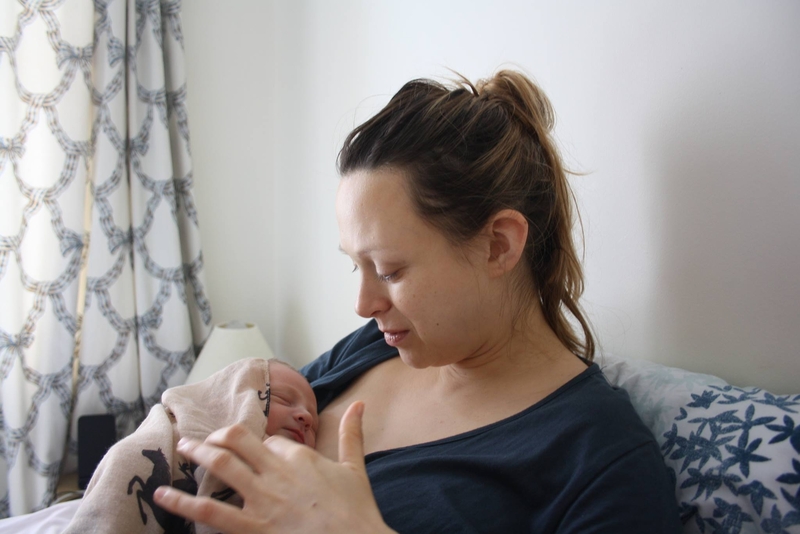 Motherhood: How It Changed My World? It’s New Year’s eve 2013. The clock has just snuck past midnight. I’m singing – what I remember of – Auld Lang Syne, an old Scottish song we Brits usually greet the New Year with. So far so normal. But the person I’ve linked arms with is just three months old and we’re singing around his changing mat. Welcome to motherhood. I wouldn’t change it for the world. In the past four months (and counting) my life has changed completely. I’m on maternity leave, so gone are colleagues, computers and conference calls. In their place, are nappies, baby yoga classes, nursery rhymes – and huge emotions. I am now responsible for a gorgeous little boy and I’m desperate to do the best for him. He’s not an addition to my life – he’s completely changed the focus. I knew that things would change, but was not prepared for the raw emotion. Motherhood makes you humble. Parenting is lived live every day and it’s constantly changing. When he learns to sit up, crawl, walk, talk, what I’ve mastered now won’t matter. So I’m writing this blog with a huge dose of hesitancy. I know that I’m just at the beginning of a huge learning curve that others have trod before me – and many are much more experienced and expert. I guess it might help for me to list what has most surprised me about being a mother, especially in those heady early weeks. My first surprise was recovery. As people often recite, the clue about labour is in the word itself. I knew that would be painful. It felt like my body was waging war on itself. Yahoo’s CEO Marissa Mayer famously came back from maternity leave after just a few weeks. I have no idea how she did that. I was still struggling to walk around my flat whilst learning the new skills of changing nappies and breastfeeding. I still needed help getting out of the bath. Of course each labour is different –and all power to Marissa Mayer for managing that feat, but I needed to take things a lot more slowly. It wasn’t the tiredness that got me, but sheer physicality of labour and the tumult of emotions and hormones in the aftermath of delivery. I ping ponged between ecstasy (this is the most amazing thing EVER) and sheer panic (am I going to be able to feed him?). Another related surprise was how challenging it was at first to attempt to do relatively normal things with a baby in tow. My first bus trip out of the house with the pram took me all of a mile away from my home. But it felt like heading to another country. I felt proud and exhilarated! Taking the underground felt like another huge challenge – the steps and escalators were hardly pram friendly. I finally managed it with my baby in a sling. Again totally normal but certainly a lot harder than I anticipated. Even after a few trips on the underground, I’m still not ready to shed my new mother L-plates. Another revelation, though one that I partly suspected, was the greater connectedness I’d feel. This started in pregnancy with London’s famously insular commuters seeing my bump and offering me seats, but has continued since then. The other day, I had a chat with a lady on the underground who saw me with my son. If you know London, you’ll know that commuting chats/eye contact rarely happen. I am also more enmeshed in my family. I feel much closer to my mother – and absolutely need her more, for baby advice and companionship. More than I can ever really express. News about places that are experiencing war and disaster also hit harder. I remember before having a baby I thought that stories about babies born in the frontline or in the midst of disaster were stories of “triumph over tragedy”. Now I know the reality must be more nuanced. I wonder how pregnant Syrian women in Zaatari camp in Jordan cope with the summer heat and what is like to raise a child so far from your own home. The Syrian death figures reported in the media are all someone’s daughter or someone’s son. I knew that before, but now I feel it with much greater intensity. The other surprise – or though it shouldn’t have been one – is how all-encompassing the job of being a mother is. At the moment, I’m juggling writing this blog with entertaining my son. He was asleep earlier, but now he’s awake. He was playing contentedly on his playmat, but is now a little bored. He’s sitting on my lap and I’m writing words, but I am stopping from time to time to bash a musical toy to make him smile. I am, as Naomi Stanton puts it in her book ‘What Mother’s Do’, instantly interruptible. The washing up, dinner, a phone call with a friend and many other everyday tasks are now frequently put aside if I hear his call. And he’s calling now, so I better put this blog aside and get back to my core job …. And be his mother. Postscript: After putting aside this blog, I put on a baby yoga DVD. I tickled my baby on his tummy and he laughed and he laughed; happy to have my total attention. *Rebecca Wynn, a Humanitarian Campaigner by Profession Writes from London, UK.